The task given to the inmates, was won by Lambas as they fought all odds of Babbars to win the task. The couple – Upen Patel and Sonali Raut had to do some more tasks today : to dress up as bride and Groom, take blessings from all family members of the Babbar family, get wedding album pictures clicked in five different locations in the house, take wedding vows, and inscribe mehendi tattoos of their names on each other’s arms. All the tasks were completed without actually physically harming anyone like Puneet got hurt on Day 1 of task. However, at the end when Pritam was clicking the couple’s pic, Karishma went on to stop and in this process dashed against Praneet which made him fall. Karishma also turned brat when Sonali was getting ready in her bridal dress. Karishma poured a bottle of water on Sonali and claimed it was “task”. Nobody liked Karishma’s actions. 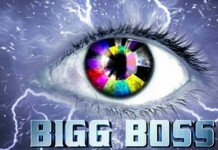 Later on, after Bigg Boss announced Lambas as the winner, The inmates made groups and spoke against Karishma among them. While Gautam and Praneet were caught on the camera saying they have lost all respect for Karishma, Sonali and Upen too said that Karishma acts like she is from slum. With most of the inmates going against Karishma, we wonder if its permanent or temporary? Today’s episode will show Hrithik Roshan enters the house to promote Bang Bang and gives a special task to the inmates!